Barbecue season is almost upon us and its the perfect time to brush up on your burger grilling skills. Whether your cooking for yourself or a large family gathering, burgers are an ideal addition your barbecue. Yet for many people, cooking the perfect burger is an illusive mystery. There are wide range of factors that affect how long it takes to grill a burger. How long it takes to grill a burger depends on how thick the patty is, the type of meat and the style you want to cook your burger. In this article we’re going to look at how long you need to grill burgers. By following these tips you can make sure that your patties are ready to win over the tastebuds of even the fussiest of guests! 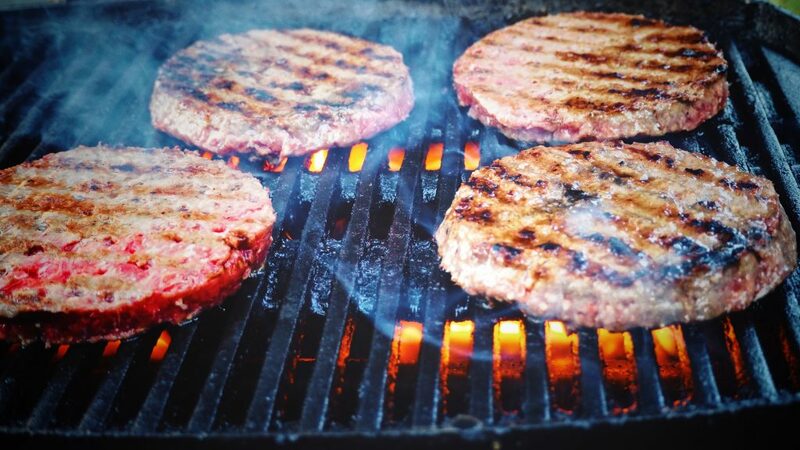 The first factor to consider when talking about grilling time is the thickness of your burgers. The thicker the burger the longer it will take to cook. If you’re designing your patties from scratch then it’s a good idea to make patties about ¾ of an inch thick. This will make sure you have enough to get your teeth into without running the risk of charring the burger. As a bonus tip, make sure that you create a small hole in the centre of the patty to make sure that your burgers don’t swell during cooking. The next thing to consider is the type of meat you’re cooking. Burgers come in all different shapes in sizes, from classic beef burgers, to chicken, turkey, ostrich and venison burgers. There are literally dozens of different types of burger meat that need to be cooked differently. Generally speaking, most beef burgers can be cooked for 3 minutes and 5 minutes on the alternate side. However if you want your steak well-done or medium rate you’re going to need to add or subtract from that figure. If you’re a fan of medium rare burgers then cook your patties for 3 minutes one side and 4 on the other. If you want to cook a well-done burger cook for 3 minutes on each side and then flip over and cook for 7 minutes. These cooking times are based on using high direct heat. If you have a thermometer aim for an internal temperature of 145 degrees fahrenheit. 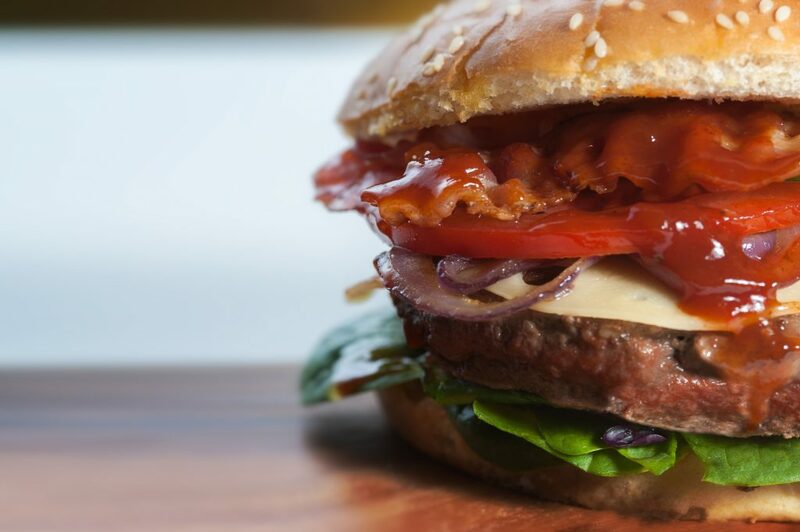 Of course cooking your burger for the right length of time is only half the battle when it comes to quality taste. You also need to choose the right meat as well. Buying beef with fat will not only taste delicious, but will cut your grocery bill as well. You don’t need to cook with lean ground beef in order to get a good taste (in fact its better if you don’t). The cooking times outlined above work well with ground chuck beef with around 20% fat. You’ll notice that whether you’re cooking well-done or medium rare you only want to flip once. Flipping your burgers too often disrupts the moisture in the burger and can lead to a dry end product. Stick to the guidance above and flip once to keep your burgers nice and moist for your guests. During cooking use a high heat according to the style of cookng you want using our guidance above. Make sure that you leave the lid open and whatever you do, don’t flatten your patties down. If you do you’ll squeeze out all the moisture and end up with a dry meal. Instead make an indendation in the middle to stop the middle ballooning up. Ultimately how long you cook your burgers depends on the type of meat your using, its thickness, your heat source and whether you want it medium-rare or well done. 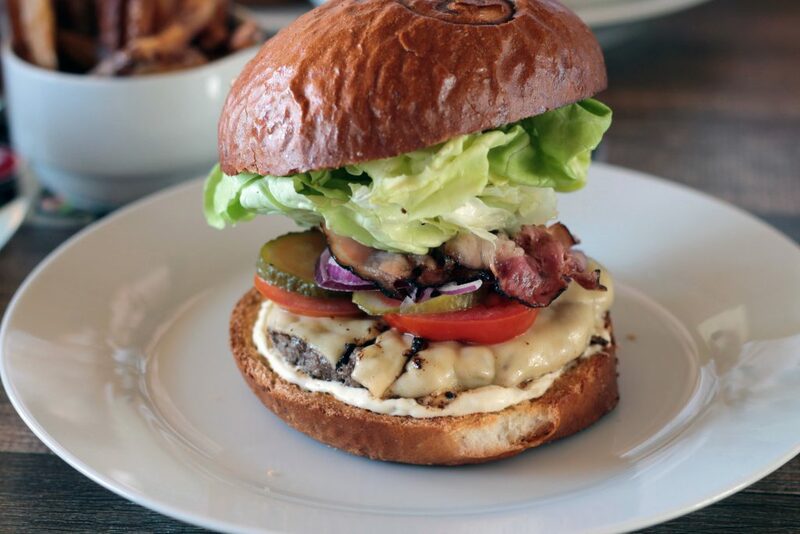 Whilst we have provided guidance to how long you want to cook your burgers, every burger is different and its not uncommon for a burger to be finished quicker than the minutes outlined above. If you’re cooking for a barbecue with lots of people try not to get too distracted during cooking. Letting your mind wander off for a couple of minutes can be the difference between a juicy burger and one that tastes like dry cardboard! Taking the time to cook your burgers properly will not only give you better flavor but make a good impression on your guests as well.